2 points to counter your argument. While I recognize that businesses have a profit incentive, baseball teams theoretically have an incentive to win. They have negotiated an agreement with the players where the profit incentive is most of what they care about. Winning seems secondary. Second, I don't see how revenue sharing is wrong if it is collectively bargained. One could argue that the rich teams in big markets are unfairly valued because of the lack of revenue sharing. When the Yankees play the Royals they get far more TV money for that game than the Royals do. At a certain point the revenue derived from that game should be shared. Or let's abandon all pretense and have a 12-team league of the big markets only. We agree that analytics have created this perverse market where younger players can't get paid and older players don't deserve it (per dollar). Where we disagree is that I think winning should be an equal incentive here and it is not. The analytics are all geared towards dollar efficiency and not maximizing the wins. They are maximizing wins under a certain budget which is a very different thing. What is your point here? What you state is correct - but what do you think it means? How doe it impact this discussion? Where we disagree is that I think winning should be an equal incentive here and it is not. Well, you want winning to be an equal incentive with profit. I might want that as well. But the reality is that when individuals invest large sums of money, they expect to make money, first and foremost. The exception to the above would be cases where extremely wealthy individuals make large investments in something (baseball franchises, fancy yachts, whatever) strictly as a function of feeding their own egos. In such cases, the "investment" is secondary to the "toy" that the rich person purchases. Such individuals might (typically would) see "winning" as more important than rate of return - because "winning" is about self-validation, about ego. Are you advocating for egotistical MLB owners who meddle in franchise operations as a way of demonstrating their own acumen, or their own wealth, or some such? Owners who don't care all that much about the bottom line, because their own resources are effectively limitless, and they own franchises simply for their own amusement (and incidentally, for our amusement, although almost by definition, that wouldn't be something such owners would care much about)? Or are you longing for really deep-pocketed ownership that acquires franchises out of "civic duty," or some such? For ownership groups like the original Bill Giles-assembled Phillies LP, financed by old money "for the good of the community," and indifferent (for a long time) about the quality of actual management, or financial performance (paper losses are actually useful to such folks), or on-field performance? They are maximizing wins under a certain budget which is a very different thing. Of course that's true. So? In the NFL all teams are set the goal of maximizing wins under a fixed budget -- they can't spend 30% more than that budget, because the owner REALLY wants to win. I think your proposal (that rich teams just severely cap bust in order to win) just makes the situation worse, because the low revenue teams will know that they have ZERO chance of winning, so just spend less and offer the 'traditional baseball family experience', as Bill Giles did for so many years. I think an absolutely fixed max and min team salary limit is the heart of a solution. I think an absolutely fixed max and min team salary limit is the heart of a solution. Then you need something like 75% revenue sharing because a fixed cap would just guarantee windfall profits for the rich team. There needs to be a mix of something like 50% revenue sharing (the Yankees and Royals both play my sample game after all) where if teams want to spend extra to win they should be allowed. This is as much the players' fault for negotiating a stupid system as the owners. At a certain point fans are culpable too if they don't negotiate by not buying tickets. Of course since the TV deals guarantee owners their revenue streams, sometimes what the fans want does not matter. Of course since the TV deals guarantee owners their revenue streams, sometimes what the fans want does not matter. Umm.... BINGO! Revenue does not correlate all that highly with on-field performance. Ticket sales do; but most MLB revenue is collected by Comcast and Verizon, and either paid directly to MLB, or funneled through content providers (cable channels, which may be national or local/regional) for whom Comcast and Verizon are the collection agents, and who in turn pay MLB (and bid for the "rights" to pay MLB). This is an entertainment industry, and the only thing that really matters is how many customers nationwide (or worldwide) can be persuaded to pay for access to the product. Most of that access is via cable TV. And I have to point out that a significant chunk of the money that ends up with MLB is paid by cable customers who might not ever care about baseball. You pay your cable bill because you want to watch HBO, or HGTV, or Nickelodeon... and you're also paying for FOX Sports, for ESPN, for CSN Sports (or MASN, or ROOT, or whatever sports channels are on your package), even if you NEVER watch them. And Americans, by and large, are addicted to cable TV. It's a money machine. And of course I am not going to give up my sports channels. Even after I cut the cord I still have YouTube TV which has the NBC Sports DC channels. Thinking about giving up my MLB.com Phillies subscription though. It will be a tiny form of protest. Looking at the Redskins and 20,000 empty seats every home game seems to indicate that ticket sales are not much of an incentive to try to put a good team on the field. That part is changing fast though. MLB seems to have a pretty good handle on digital revenue streams going forward. ESPN (Disney) buying MLB.com and starting ESPN + obviously suggests they don't expect to live off carriage fees forever either. Obviously a monopoly that is collectively bargained with a salary system of any kind is never going to be a free market. Currently the market is speaking in the sense that owners are looking at the cost, age, and in some cases, associated cost (comp picks) of certain players and assigning a lower value to those things than they previously did. But they also have the luxury of being able to field teams of mostly 19-30 year-old players who are cost-controlled, and not free at all. You almost have to wonder if the Yankees and Dodgers know something. Maybe it's to do with the next TV contract or the next CBA or maybe they are just looking around and realizing that, in fact, Manny and Bryce are not once-in-a-lifetime opportunities, and that great players will always be available, especially to the richest teams. With the Yankees it's really just a choice they made to spend on pitching more than hitting. Phillies are doing the opposite. The Yankees (and other teams) also have the luxury of already being pretty good teams. Phillies and White Sox do not. I don't think Andy really thinks it's good for baseball for teams to blow through the tax but sure, if I were a Dodgers fan that just lost the last two Worlds Series or a Yankees fan looking up at the Red Sox I don't really want to hear that the luxury tax is a problem for them when it hasn't been before. Then you need something like 75% revenue sharing because a fixed cap would just guarantee windfall profits for the rich team. One answer to that is that it isn't necessarily windfall profits to the rich team, since the owner of the rich team had to pay more to acquire the high revenue team. The higher profits may, in fact, be the same return on investment. Secondly, revenue sharing in baseball has a bad taste because so many 'poor' teams have spent less on salaries than they have received through revenue sharing and so part of what they currently receive is just going into the owners' pockets rather than going to the players or improving the quality of the team fielded. There is zero point in increased revenue sharing if the owner is free to simply pocket the money. And again, No, No, No to the notion that owners should be able to spend more to win. A fixed cap on payroll levels the playing field and improves competitiveness. I'm not just giving you pie in the sky. The NFL is the most successful sports league in America and it works on this principle. Your approach just reduces the result on the field to which team's owner is on the biggest ego trip. Baseball has been there. Unless you were a New Yorker, the era of Yankee supremacy just wasn't all that much fun. I hope baseball never returns to that era. If it does, I'm out. The rich teams might be unfairly valued because of the salary/luxury tax put in place. I have no sympathy for them if the value of their team goes down a bit because of collective bargaining. The harder luxury tax in the last agreement probably made their values go up. What goes up can come down. They are all making money in all of these situations anyway. The NFL is also not a great example because they do share something like 75% of revenues. There is little local TV money. If baseball wants to go to that level of revenue then sure - let's go to a harder cap and minimums. If you are not sharing as much revenue then there needs to be latitude to pay the players more. Some limits on what young players make allows enough leeway for the smaller clubs to compete. I am all for more revenue sharing, I just don't expect more than 50%. It is high 30s now I think. The players deserve to get paid their fair share too. Well, the answer to being like the NFL is also the revenue-sharing answer - no local TV deals, everybody gets the same cut. The other answer is to pay your players from Day 1 - there is not much variability from team to team in terms of total salary, cap room and contract quirks aside. But baseball is not going to do either of those things. I seriously wonder if we'll have a real strike or lockout. We know how popular strikes are. But how are the players supposed to get any reform without also agreeing to a salary cap? At the same time, some owners don't even want that salary cap, and they certainly don't want to give players more money early/more freedom of movement. Tough question. Yes, earlier free agency will help as will tightening the ability of teams to game the service time clock. What would the players have to give in exchange for that? What kind of cap? The MLBPA was the once the most powerful union in America but Tony Clark has pretty much run it into the ground. Clark does not seem good at his job and it also seems like a mistake not to have a labor professional in the job. But I also suspect the union probably got soft after the last strike (and the owners could hang tough) because neither side wanted to come close to another stoppage ever again. But, it's been 25 years. Before that lost season there were seven strikes or lockouts over 21 years. In some ways it's just part of the process, so long as you don't actually get to a stoppage (just like most lawsuits are either dropped or settled). My post was in response to Allentown's comparison to other businesses. (I was on a mobile device and wasn't able to quote it). I don't believe ownership of MLB teams should be compared to the principles of other for profit businesses because of the antitrust exemption it has enjoyed since 1922. The antitrust exemption was granted because of the belief that baseball was a public amusement, not a commercial enterprise. Obviously the economics of baseball were significantly different in 1922 than they are now but the game is the game. The game continues to provide enjoyment for the public. Players are the entertainers that create the enjoyment for the public. Owners help facilitate the growth of the game and manage the business of baseball. The premise that there should be a balance between the owners, players and the public to continue justifying the antitrust exemption shouldn't have changed but it appears it has recently. While I don't believe owners should constantly incur losses on their clubs, I also don't believe they should maximize or reap significant profits like other businesses, especially to the detriment of players. Perhaps it is due to the Ivy Leaguer types running many of the baseball front offices now and their analytical approaches to everything about the game. In any event, if owners are expected to maximize profits like any other for profit business, why should MLB have an antitrust exemption? There is no question that MLB revenues continue to grow. The share going to players has been declining. So that means more is going to the owners pockets or going to pay for increased expenses, which of course, the owners manage. There are plenty of games owners can play with "expenses" including contracting with other businesses owned by owners, family on the payroll, etc. Nobody really cares about how owners manage expenses however which is why player salaries are always expressed as a % of revenues and that % has been going done. This discussion is about suggested adjustments to MLB. Ownership and front offices are exploiting the player control periods and their below market pay scales. Shorten the control periods and pay the players FMV earlier in their careers If the share going to the players wasn't declining, this wouldn't be a topic of discussion. *Sorry, aside from the Twins who have a good historical reason, I HATE when teams name themselves for their state instead of their city. Multiple sourses reporting proposals from MLB and the Union to each other with speculation that some changes could even go in this year. 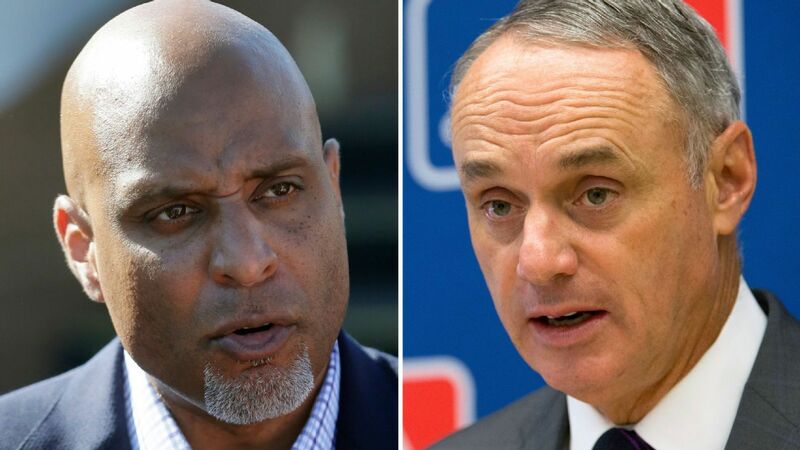 MLB and the MLB Players Association are discussing potentially drastic rule changes, sources told ESPN. A three-batter minimum for pitchers, a universal DH and a 20-second pitch clock are among the items discussed. I hope they come to agreement for the good of the game, most of the proposals I'd be ok with and many would impact the composition of the team this year. Harper on a long term contract would make more sense as he could transition to DH for example. Trading for Realmuto and keeping Alfaro would be attractive as Realmuto could get more ABs with the DH. With a 26 man roster and 12 pitcher minimum we also wouldn't be so eager to trade some of our surplus OF's and maybe more so some surplus pitching. The 3 batter minimum is a terrible idea. Pitchers get hurt then what? Need to call out a team of physicians to verify the injury isn't fake? Having a 12-pitcher maximum is also a bad idea - let any team fill out its active roster as best suits its strengths. My two cents are now spent. Shortening the season to 154 or less games should be on the table too. Most of the other proposals are to increase offense. Is a lack of scoring really an issue in MLB? The three-batter minimum and the cap on number of pitchers go together. If there's a three-batter minimum, it becomes a lot harder to actually use eight (or more) relief pitchers in any rational, consistent way. 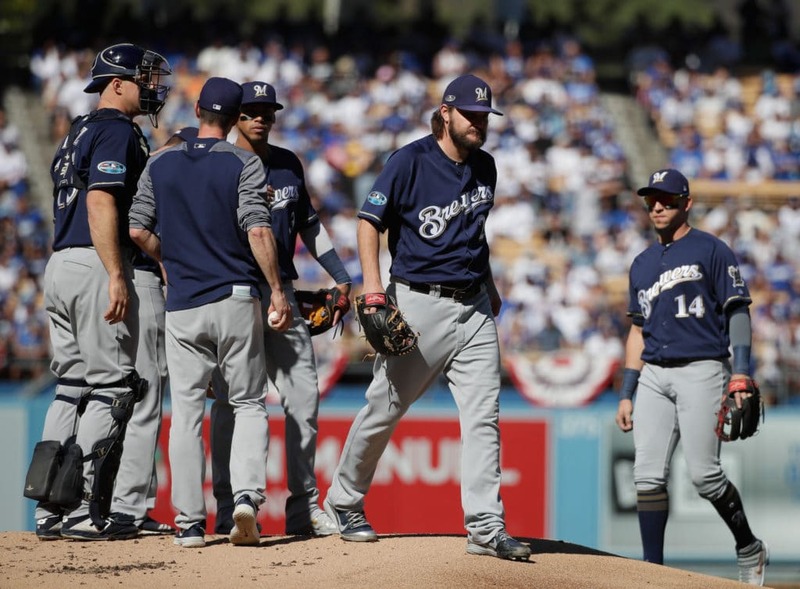 As for injuries - pitchers can be removed before facing three batters if they get hurt... but if they come out of a game due to injury prior to facing three batters, they're required to go on some kind of DL, and become unavailable to the club for some period of time. Seven days? Ten days? Don't have the specific answer here, but it wouldn't be difficult to prevent "fake injury" abuse. I'm not endorsing these changes, but I can see how they could work. The one I really don't like is "draft advantages to winning teams and penalties for losing teams." If a club wins 100 games, they get "draft advantages"? How is a struggling club supposed to get better, if they suffer draft penalties when they're already short of talent? I could see this strategy if there were eight MLB clubs, all in very large cities, all with the ability to support $200 million payrolls - and wide-open free agency, which allowed all clubs to compete equally for talent. But how do the Pirates, or the A's, or the Twins, or etc., etc., etc., compete with the Yankees, Red Sox, Phillies, Dodgers, etc., in such a regime? Unless you simultaneously take ALL club revenue from ALL media sources, put it into a single pool, and divide it equally among clubs (which is NOT going to happen), this would drive smaller franchises right out of the league. I definitely endorse the 3-batter minimum. One could deal with fake injuries by saying a reliever would have to miss the next few games (3?) if they were removed because of injury. Pitching changes within an inning kill the pace of the game. Switching at the end of an inning still lets teams use lots of pitchers. They just need to do a better job of getting both left and right-handed hitters out. That means they need more skill (or we'll get a little more offense). All of those are good things. We already have 12 man pitching staffs. At least the 26th man gets back the 5-man bench. Returning to the 15-day DL means that teams will have to manage day to day injuries a bit more. The extra bench spot lets them do that. Totally agree on the draft advantages comment. The baseball draft is rarely a sure thing so tanking for the DRAFT is not an issue. Tanking to get prospects in trades are the larger issue. The solution to this has always been more revenue sharing with spending minimums in place. Either force the team to have a payroll minimum. If they don't maybe then exact draft pool penalties on teams that don't spend. Also allow the trading of draft picks and even more flexibility on international allocations so teams can amass talent if they choose not to spend on big bonuses. A trade deadline before the break is probably too early. Maybe make the July 31 deadline a real deadline with no waiver trades. Teams really need July to assess their needs for the stretch. Just don't allow them to have those revocable waivers in August. This might be a good time for the owners to send a fig leaf to the union also as these changes are more designed to help them than the players (like the 20-second pitch clock is an adjustment for veterans). Raise the minimum salary to $1 million and throw the minor leaguers a pay increase. It would probably be too much for them to deal with the service time gaming issues, but maybe they could increase the number of super Two eligible players as another gift to the players. A little progress now could help avoid a strike in a few years.